The Anthropology Museum, the first institute of its kind to be created after Independence, November 13, 1976. Last Saturday morning, 120 members of the Angola Field Group visited the National Museum of Anthropology in the old city of Luanda. 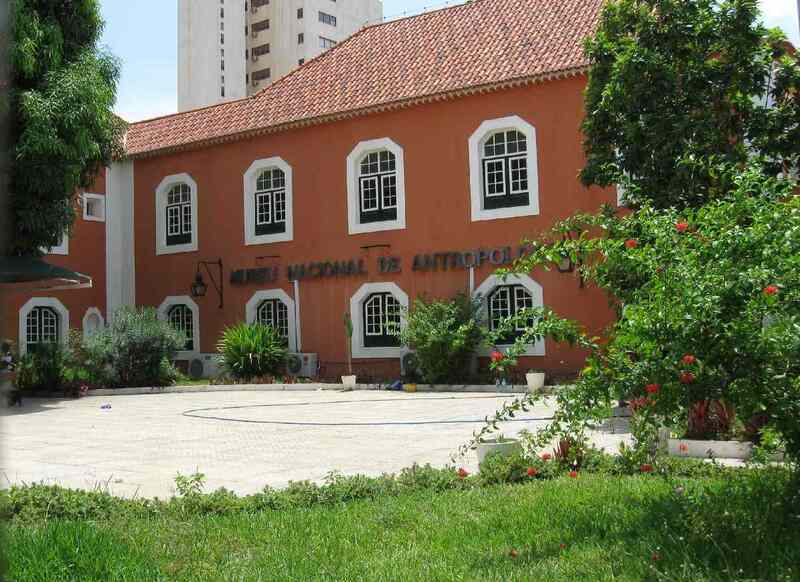 Located in what was formerly the headquarters of a diamond company, the museum opened on November 13, 1976, the first institute of its kind created in Angola’s post colonial period. 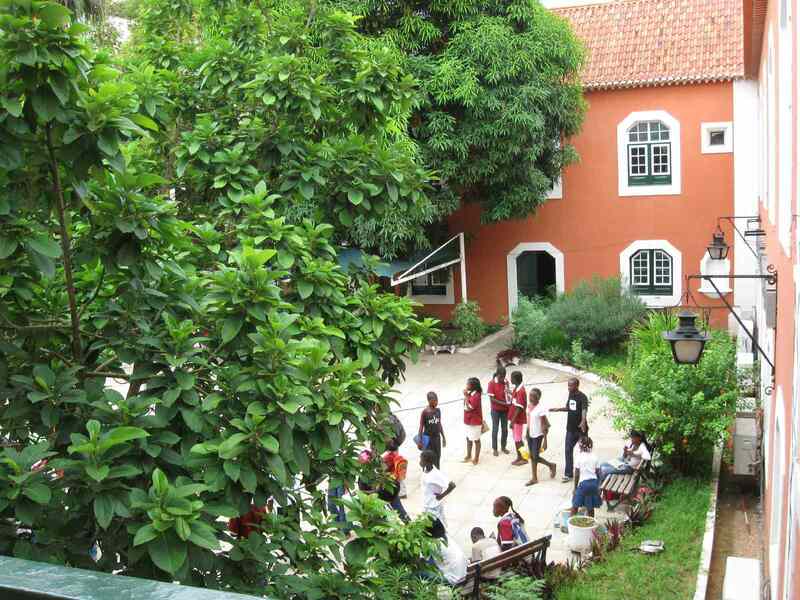 One of the main objectives of the then Revolutionary Council when it established the museum was to reaffirm and acknowledge the cultural identity of the Angolan people which for such a long time had been seen as inferior under Portuguese colonial rule. The National Museum of Anthropology is open Monday to Friday from 8:30 to 12:30 and 14:30 to 17:00. We thank Director Américo Kwononoka for allowing us to visit the museum on a Saturday morning. Students comprise about 75% of the visitors to the museum. 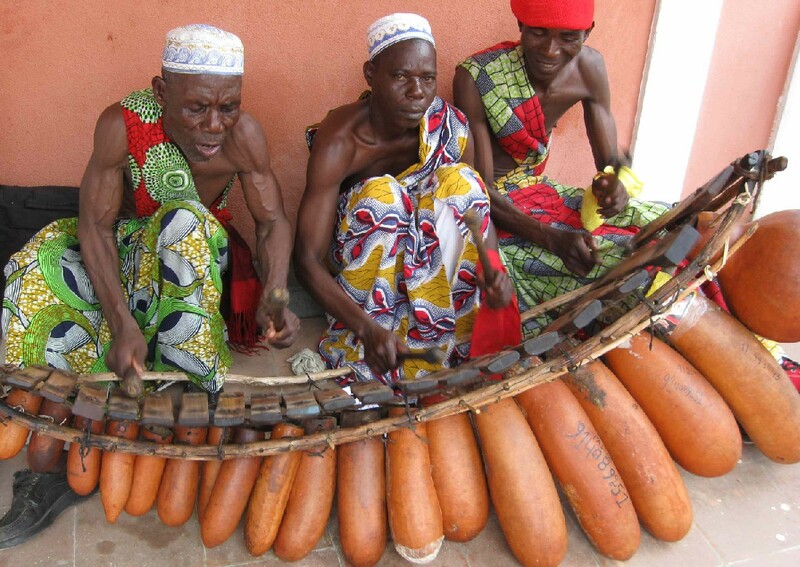 Grupo Marimbeiro playing the marimba inside the museum, a traditional Angolan musical instrument constructed by 'O Mestre' (far left). To hire this marimba group, contact Guilherme at 912-593 or Pascoal at 914-089251.